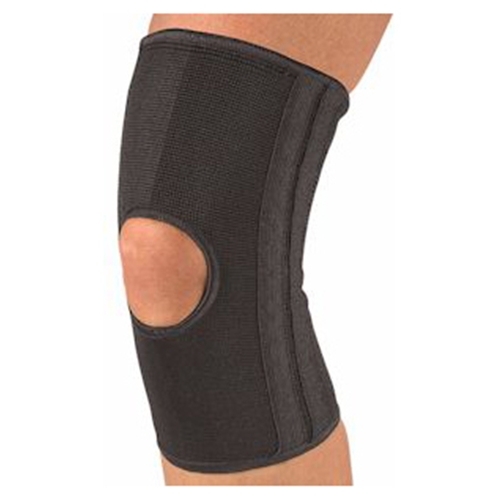 Mueller Elastic Knee Stabilizer from HealthyKin.com provides support for stiff, weak, or sore knees. Steel springs offer moderate medial/lateral support. The elastic material is breathable and comfortable for all-day wear to reduce swelling without limiting mobility. My husband has worn one for years and it has kept him from knee replacement. He wouldn't be without it. I had arthritic knees and will need surgery in near future. The brace helps stabilize my knees and Walk with less pain. They work. Really helps stabilize the knee to help with athletic pursuits with little weight. © HealthyKin.com . All Rights Reserved.